Two people were killed when massive fire engulfed a godown in the slum area in Mumbai's Kandivali after a series of cylinder blasts on 7 December, NDTV reported. According to reports, the first explosion took place in Damu Nagar in the afternoon. The fire caused a series of loud explosions. A number of fire tenders rushed to the spot. "We heard a loud blast around 12:45 pm and then 15-20 explosions one after the other," a local resident told NDTV. According to media reports, about 25 to 30 gas cylinders exploded in the area, leading to the Category-2 fire. 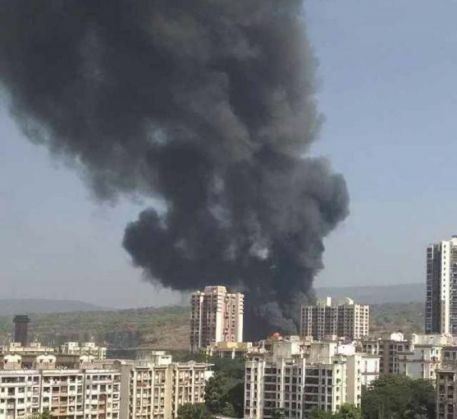 The fire has led to traffic jams in the Kandivali area because the godown is located in a congested colony. It is feared that the fire might reach nearby forest area if not controlled in time. The fire was still raging at 3:15pm IST. READ NEXT >> Can you connect the dots of the San Bernardino shootings?